The latest mining environment protection battle involves the impoverished and depopulated Trun border region of Bulgaria which contains a beautiful mountainous area, home to bears, wolves and lynx. Trun faces a difficult dilemma: to welcome or oppose plans for vast new gold and silver mines by Euromax Resources. The mining area will come within 100 metres of the village of Erul, buried in the forested border with Serbia. In countries across the Balkans the lure of high metal prices and the prospect of new employment are leading governments to ignore the heavy environmental costs of new mines. In Bulgaria itself, for example, the collapse of inefficient mining and heavy industries led many to migrate to the cities, leaving the countryside with severe unemployment. More than one million emigrated to find new work abroad. The knowledge that there are gold and silver deposits in the mountains has led to a new rush to open mines in pristine natural areas, and a battle over whether Macedonia, Serbia and Bulgaria should foster agriculture and tourism or plump for the short-term gains of mining. Climate change rarely gets mentioned in these arguments over the opening-up of beautiful forested areas and wildlife havens for mining. But the way the industry operates is adding dramatically to emissions of greenhouse gases. This is because the banning of the use of cyanide means partly-separated silver and gold ore will be sent to Namibia for processing. Additionally, to feed spare capacity in European smelters for zinc and other metals, ore will be imported from South America. The latest battle involves the impoverished and depopulated Trun border region of Bulgaria which contains a beautiful mountainous area, home to bears, wolves and lynx. Trun faces a difficult dilemma: to welcome or oppose plans for vast new gold and silver mines. The mining area will come within 100 metres of the village of Erul, buried in the forested border with Serbia. Currently the village has 18 inhabitants. The profusion of wild flowers, including many orchids, helps to make the area a Natura 2000 site, supposedly giving it special protection under European legislation. This has led the mining company, Euromax Services, to amend its original plans. Instead of all being opencast quarries, three of the proposed mines inside the protected area will be underground, with three outside the Natura 2000 site still opencast. The company’s case is that the mine will provide 500 jobs in the impoverished municipality of Trun in which Erul lies, where by coincidence 500 of the population of 4,000 are unemployed. The company is part-Bulgarian but the holding company, Assarel Medet, is incorporated in Malta. It has taken over an empty shop in the town and turned it into a well-furnished information centre, where staff entertain local schoolchildren to geology lessons to educate them about the wonders of gold mining. Elitsa Georgieva, the company’s community relations chief, says it wants to take 750,000 tons of ore out of the mountain over 26 years to extract the gold and silver. She says the 320-hectare tailings pond will be lined to prevent chemicals contaminating the water supply. In any case, she adds, the chemicals are not dangerous. The proposed mine is on a ridge of mountains which have been exploited since ancient times, where the Greeks and Romans had extensive workings. The last mine in this area closed in the 1970s, but while gold remains at US$1,200 an ounce demolishing mountains to reach the ore is an economic proposition. 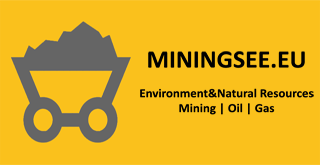 The company is currently paying experts to compile the environmental impact assessment required by law before the government will grant a permit to mine. Rumiana Boyanova, aged 34, whose grandparents come from the district and who spends week-ends in the area, has formed a local resistance group. “We have the cleanest air in Bulgaria, an untouched wilderness, with many rare and protected species. There are lots of interesting archaeological discoveries, Thracian, Roman and others yet to be properly studied”, she says.